It seems the phrase “burning the midnight oil” might be referring to burning the midnight fat. My weight dropped 0.5kg to 66.2kg, Body Fat decreased 0.1% to 16.9%; my Body Water and my Body Muscle went up 0.1% each to 57.1% and 43.2% respectively following my late night write up last night. Despite the drop in weight the decrease in fat doesn’t seem to account for it! I’m perplexed to say the least! In the morning I had my hot lemon drink followed by Inca red quinoa with coconut milk, plums and blackberries. 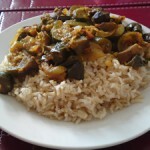 For my lunch/evening meal I had wholegrain basmati rice with a vegetable curry (aubergines, courgettes, onions, tomatoes and naga jolokia chilli pepper). Having been up till the early hours today I was quite tired and stressed and fancied relaxing. I finally treated myself to that Lush Bubble Bar I wrote about three weeks ago. If you’ve been following my posts during the 40 day period you will notice this is the first time I’ve treated myself to a bath. On a daily basis I prefer to take a shower rather than a bath partly because I don’t like the idea of unnecessarily wasting water. A shower is quick and can be over within 5 minutes whereas my bath takes about 15 minutes to fill. Water is a precious commodity and I don’t think it should be wasted unnecessarily. I therefore choose to fill my bath rarely only when I think I truly deserve it. And what a bath it was! I used about a quarter to a third of Lush’s The Comforter Bubble Bar. It turned the water into a beautiful pink colour and it literally smelt lush! Once I was in, I then added to the experience by treating myself to a glass of hazelnut milk. Ahh… the luxury! I can’t tell you what an awesome feeling it was being caressed by the pink warm water, being tickled by the white foam and then to feel the cool refreshing hazelnut milk trickling down my throat into my stomach. The delicate taste of hazelnut milk added to the sublime ambience of the experience. I felt like a king. The view out my window as I came out of the bath! 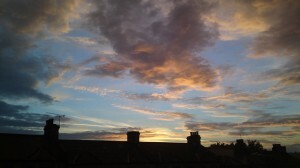 Soon after I came out of the bath I was greeted by a heavenly sky. It felt as though I truly was in paradise. Speaking of enlightenment I’ve been looking into the significance of 40 days. There are a few reasons I chose 40 days as the period to do this detox. Pragmatically speaking it seemed like a period of time that was neither too short nor too long. It was a long enough time period to notice a difference while short enough to not feel like a tiresome marathon. It also seems a long enough time to change my eating habits. In the back of my mind 40 days also held a vague mystical relevance. I remember as I was growing up my mother would dedicate 40 days to reciting certain prayers for a certain wish and on the 40th or 41st day something would happen to make that wish come true. Funnily enough while I was researching the significance of 40 days according to different cultures and religions I came across a magic spells website that prescribed reciting Arabic phrases (more specifically, names of Allah) for forty days for different effects. I’m not sure if the author of the website realises that these aren’t spells but Islamic prayers! Also while I was in Syria I met a Black American Islamic student who was just about to commence studying Irfan (the Twelver Shia discipline of mysticism) and during one of our conversations he mentioned that his teacher said that he would have to stop eating meat for 40 days before the “veil begins to lift”. This background influenced my decision to detox for 40 days. However it is only now after doing some research have I discovered the almost universal appeal that 40 days has across different religions and cultures all over the world throughout large portions of human history. It seems the significance of 40 days is deeply ingrained in human consciousness. 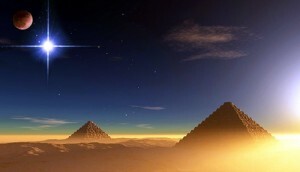 The Ancient Egyptians based their calendar system on the heliacal rising of Sirius. This was when the star Sirius became visible just before sunrise. These days were known as Dog Days, they heralded the imminent coming of the Nile floods and lasted for 40 days. This celestial event also coincided with extreme heat. According to the The Old Farmers Almanac the traditional timing of the Dog Days is for 40 days from the 3rd July to August 11th. Forty days was significant to the ancient Egyptians in another way: they used to pack the bodies of their dead with salt for 40 days to drain fluid from the body as part of the mummification process. 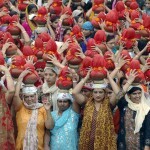 The Sindhi Hindu community commemorate a festival of thanks to God called Chaliho Sahib. It lasts for 40 days during which time devotees avoid: cutting their hair, wearing clothes washed by soap, drinking milk, eating fried food and wearing shoes. In Hinduism when someone dies the family of the deceased are given 13 or 40 days space (length of time depends on caste and community) until they are re-integrated into society. Amongst Hindus it is also common for a mother and child to rest for 40 days after the birth during which neither leaves their home. 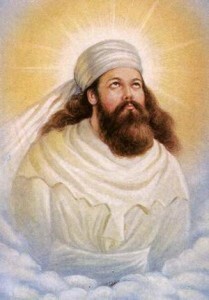 Kundalini Yoga has evolved as a practice out of Hinduism. Kundalini Yoga is known as the yoga of awareness because it uses physical movement, breathing and sound to directly affect ones consciousness, develop intuition, increase self knowledge, and unleashes the unlimited creative potential that exists within every human being. It emphasises the need to practice Kundalini Yoga for a consecutive 40 day period to make or break habits. Some Jains practice Uapvas which is a water-only fast lasting up to 40 days. Forty days have a sacred relevance in Judaism due to the time period being mentioned many times in the Old Testament (Bible) in relation to different Jewish Prophets. There are many instances in the Old Testament that refer to 40 days. 40 days and nights God sent rain in the great flood of Noah: Genesis 7:4, 12. Forty days after sighting the tops of the mountains, Noah set forth a raven and a dove: Genesis 8:6-7. Joseph mourned the death of his father Jacob for a period of 40 days: Genesis 50:3. Moses spent 40 days on Mount Sinai with God fasting, not drinking water or eating bread, after which, his face shone with radiance: Exodus 24:18, 34:28, Deuteronomy 9:9-11. 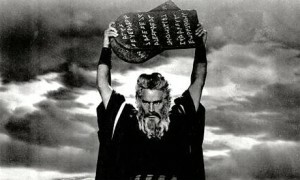 Moses pleads for Israel 40 days on Sinai Moses after the sin of the Golden Calf: Deuteronomy 9:18-25, Deuteronomy 10:10. It took the spies 40 days to search out the promised land Canaan: Numbers 13:25, 14:34. Goliath taunted Israel for 40 days: 1 Samuel 17:16. 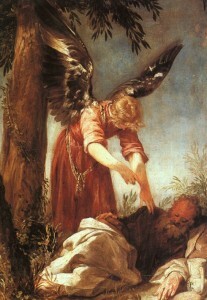 Elijah rested under a broom tree until an angel provided him with water and a stone -baked cake twice. He then fasted and journeyed to Horeb for 40 days. After the 40 days fast God spoke to Elijah in the sound of a low whisper at a cave at Mount Horeb: 1 Kings 19:8. Ezekiel bore the iniquity of Judah for 40 days by laying on his right side to symbolize the 40 years of Judah’s transgression: Ezekiel 4:6. In the current age Jewish people observe The 40 Days of Awe which represent the forty days Moses spent on Mount Sinai before he came down with the Ten Commandments. During this period Jews are called upon to heighten their activities in three areas: repentance, prayer and charity. Jewish attitudes towards abortion are quite lenient when it comes to a foetus that is less than 40 days old as it is considered up until this point as “mere fluid”. Following the birth of a male child an Israelite mother is expected to purify herself from ceremonial impurity for 40 days. During this time she should not touch any sacred thing or enter the sanctuary: Leviticus 12. Like my mother, Jews also have a 40 day prayer formula for having prayers answered. They have a mystical practice which says one who seeks an answer to their prayers should journey to the Western Wall in Jerusalem to pray the same prayer request every day for 40 consecutive days. In common with my mother, Jews and people who dabble with spells, the Zoroastrians also have a 40 day formula for having prayers answered. It is known as the “Chalisa” or The 40 Day Ritual. 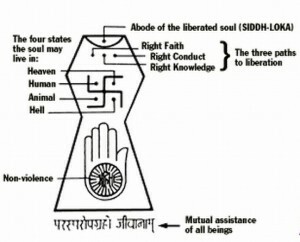 The procedure includes the following elements: to devote one’s mind completely to one divine being and pray a specified prayer at exactly the same time at exactly the same place everyday for the full 40 days, whilst maintaining strict levels of spiritual and physical purity. In addition to this, the devotee constantly repeats a phrase of the Avesta throughout their daily life for the 40 days in order to “keep the connection”. If the devotee completes this task for 40 days the Yazata to whom the person sought help from will appear in some form to them with the answer to their prayer. After giving birth a Zoroastrian woman is required to remain secluded with her baby for forty days in order that she may be purified from the impurities of childbirth. After the 40th day she takes a ritual bath that allows her to rejoin the wider community. 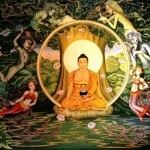 According to some versions of the story, Buddha reached enlightenment on the full moon in May after meditating and fasting under the Bodhi Tree (a fig tree) for 40 days. All the parts of the Old Testament about 40 days also have significance for Christians as well as Jews. Additional to these references, 40 days also has special mention in the New Testament. 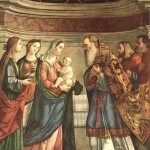 After Mary observed the 40 days of purification following the birth of her son Jesus (according to the Law of Moses), Jesus Christ was presented to the Temple in Jerusalem. Following his baptism by John the Baptist in Jordan, Jesus was led by the Spirit into the wilderness where he fasted for 40 days, was tempted by Satan and ministered to by Angels. After this event Jesus started his public ministry. Matthew 4:2, Mark 1:13, Luke 4:2. After his crucifixion Jesus Christ presented himself alive to his disciples and continued teaching them about the Kingdom of God for 40 days with many proofs until he went up to heaven. Acts 1:3. To this day Christians fast for 40 days during a period known as Lent which leads up to Easter, the celebration of the Resurrection of Jesus Christ. 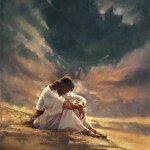 The 40 days represents the time Jesus spent fasting in the wilderness. During this time Christians focus on prayer, penitence, almsgiving and self-denial. 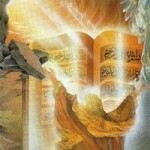 Prophet Muhammad being revealed the Qur'an by Angel Gabriel. His first revelations started at the age of 40. According to some Islamic versions of the story of Prophet Yunus, it is said he spent 40 days inside the fish/whale. Prophet Muhammad fasted and practiced abstinence for forty days before Fatima was conceived. The various hadiths (historical and quotational records of Muhammad’s words and deeds) report that he broke his fast with dates, grapes or apples and water from heaven which formed the sperm with which Fatima his daughter was conceived. On abortion, like some Jewish scholars some Muslim scholars believe that abortion is permissible within the first 40 days of a pregnancy. Many Muslims in the Indian subcontinent practice something called the Chalisa or Chillha, which means the mother and child staying at home for forty days after childbirth as she is considered impure. I’m not sure how widespread this practice is amongst Muslims of different nations, but I can confirm that it is a common practice amongst my family. My uncle had a new baby daughter last month, and he and his wife are waiting for the Chalisa to be over before presenting his daughter to my grandmother. It seems there is a report from the wife of the Prophet Muhammad related to this subject. Shia Muslims mourn for forty days after death of someone and on the 40th day they gather and recite the Qur’an for the deceased person. Similarly Shia Muslims mourn for Imam Hussain the grandson of the Prophet Muhammad and his family and companions for 40 days after the anniversary of the Day of Ashura. The 40th day is known as Arba’een in Arabic speaking countries and Chelom in Persian and Urdu speaking nations. For Shia Muslims the slaughter of Imam Hussain and his family and companions on the fields of Karbala by the then Caliph of the Muslims Yazid son of Muawiya son of Abu Sufyan was like a sacrificial offering by Imam Hussain to save and revive Islam. They believe that through that one sacrifice Imam Hussain made it crystal clear how perverted and misguided the Muslim community had become. There were no longer any doubts about whether the family of the Prophet Muhammad embraced how things had turned out after the death of Prophet Muhammad. The majority of Muslims could no longer claim that they also loved the family of Muhammad when they and their leadership were the ones who slaughtered the Prophet’s family. On that day things became crystal clear. Truth became distinct from Falsehood. Light became distinct from Darkness. Good became distinct from Evil. On that day the Shias of Ali and the family of Muhammad became distinct from the rest of the Muslim community. It is for this reason that of all the bloody history of the Shias and the Muslims that this one event is commemorated by the Shias like no other. It is on that day that it became clear that the Qur’an alone was not enough for the guidance of the Muslims, but as Prophet Muhammad had said he left behind two weighty things to which the Muslims needed to hold onto after his death. I believe some ardent lovers of Imam Hussain refuse to eat meat for the forty days of mourning as it reminds them of the butchering of Imam Hussain, his family and his companions and thus find that eating meat during this period is disrespectful to their memory. On the day of Arba’een Shia Muslims gather at the shrine of Hussain’s sister Zaynab on the South East outskirts of Damascus, Syria. Pilgrims flock to the shrine on Arba’een in frenzied expectation of miracles and healing. Many cripples, disabled people, blind, people with terminal illnesses etc can be seen in the vicinity praying ardently for healing. Fervent believers swear that miracles and spontaneous healing can be witnessed there every year. I was there last year and unfortunately, personally, I was witness to nothing like that. 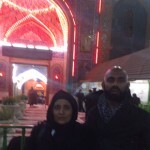 The following video was taken by me inside the Shrine of Sayyida Zainab on Arbaeen 2010. There is a mystical practice amongst some Muslims to spend 40 days in a mosque praying and to get closer to Allah. It is known as chilha / chilla. As I mentioned earlier in this post, there is a tradition amongst Muslims to recite prayers consecutively for 40 days for guaranteed effect. Similarly Shia Muslims believe that if one visits the Shrine of Imam Hussain or Masjid-e-Sahla in Iraq every consecutive Thursday evening (for 40 Thursdays) or Masjid-e-Jamkaran in Iran every Tuesday night (for 40 Tuesdays) a visit from the hidden twelfth Imam Mahdi is guaranteed. In another saying of Prophet Muhammad he has been said to have encouraged eating meat as it increases the growth of flesh, and if it isn’t eaten in 40 days he says that the body will deteriorate. Prophet Muhammad said that by eating pomegranate the heart is enlightened by Allah and keeps the devil and wicked thoughts away for 40 days. In the end days it is said that the Dajjal (the Muslim Anti-Christ) will roam the earth for 40 days. Guru Nanak the founder of Sikhism undertook a Chilla / Chalisa (40 days spent worshipping God) at Tilla Jogian, near Bhera Pakistan. 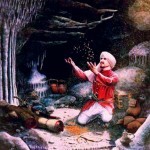 Guru Nanak is also said to have spent 40 days with a Sufi saint in Nahoria Bazar, Sirsa, India where a beautiful Sikh Shrine called the Gurdwara Chilla Sahib is now located. After the birth of a child a Sikh mother is considered weakened and vulnerable to illness. For this reason she will not leave the house for 40 days and will avoid bathing in case she becomes chilled. Many Sikhs will name their child on the fortieth day after the birth in a naming ceremony. 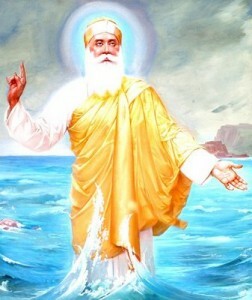 The Guru Granth Sahib is opened at random and the first letter at the top of the left page is used as the first letter of the child’s new name. Some Sikhs practice a 40 Days of Prayers. During this time they will not eat meat, drink alcohol or cut their hair. Mulla Husayn spent 40 days fasting and praying before leaving Karbala, Iraq with his brother and nephew seeking the guidance of God after which he then met the Bab. The Qayyúmu’l-Asmá’ (“Commentary on the Súrih of Joseph”) was written by the Bab over 40 days and is considered revelation by the Bahai’s. 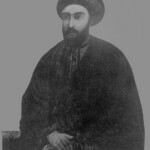 Tha Bab spent forty days confined in Tabriz. In 2006 Saeid Rezaie, one of the seven Iranian Baha’i leaders spent 40 days in solitary confinement at the hands of the current Iranian regime. As with many other cultures around the world, in China a new mother is confined to her home for 40 days after she has given birth. 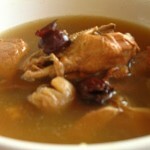 According to Chinese culture after the birth of a child the mother is at her weakest and most vulnerable to illness. She therefore stays at home whilst female members of the family take care of her and the child. She eats specific warm foods like: ginger, sesame oil, wine, black vinegar, ginseng, and avoids bathing to avoid getting ill for the duration of that 40 day period. Whilst researching this blog post, synchronistic events led me to look into the story of Ali Baba and the Forty Thieves. I wondered if the story might have been a metaphor for deeper spiritual truths. So I went to my local library and borrowed volumes of The Book of The Thousand Nights and One Night in search of the Ali Baba story. A summary of the Ali Baba story can be read here. I even bought and read through a pamphlet on the subject called “The Spiritual Meaning of Ali Baba and the 40 Thieves and Its Spiritual Meaning” by E. Matthews Dawson. Unfortunately this pamphlet wasn’t as useful as I had hoped as the author did arithmetic gymnastics (as you get with many Davinci Code-type conspiracy theorists) to conclude that the 40 actually represented 4 which represented The Cross. I’m not sure on what basis he was looking for a deeper Christian meaning in a story that is most likely of Muslim origin. If he took the 40 to mean just that, he could have found a meaning that is significant to not just Christianity but many other religions, spiritual traditions and cultures. I am sure there may be very detailed ways of interpreting the story. One meaning I feel the story could be conveying is the cave represents the heart/soul while the treasure is enlightenment of the soul and the many gifts that come from enlightenment. To me the killing of each of the 40 Thieves could represent the 40 days of fasting that needs to be endured in order to benefit from the long lasting effects of enlightenment. I don’t think the choice of the words “Open Sesame” which is the key to opening the heart/cave is a coincidence. The key to enlightenment is clearly nutritionally related. The first two thieves or days of the fast can be a bit tricky to deal with. The next 37 thieves or days go by quickly as swift as a breeze, while the fortieth thief/day feels like an eternity to deal with before it is vanquished, making way for permanent blessings from the enlightenment that ensues or treasures of the cave. In a nutshell, this is my mystical interpretation of the story of Ali Baba and the Forty Thieves! 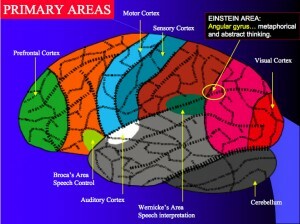 In psychology there is something known as cortical remapping. This is the ability of the brain to change as a result of experience. A researcher has found that personality can be changed through handwriting exercises over a period of 40 days. Those who advocate therapy rather than treatment for Schizophrenic episodes have noticed that acute psychotic episodes tend to take 6 weeks (or 40 / 42 days) to accomplish their inner aims. For example the Sorteria Project by Dr. Loren Mosher indicated that people in the study who were suffering from schizophrenia showed significant recovery after 6 weeks without medication. When in your 30’s skin cells can take up to 40 days to renew. Red blood cells start dying from 40 days onwards. The average lifespan of circulating red blood cells is 120 days. 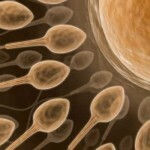 It has been found that sperm count can be increased in six weeks (40 / 42 days). Though its not 40 days, readers might find it interesting to note that pregnancies on average last for 40 weeks and once the child is born its eyesight develops in 6 to 8 weeks. Is it physiologically possible to fast on water only for 40 days? If you ever wondered if it’s possible to fast three lots of 40 days on just water here is the video diary of someone that did (and somehow survived…). I personally would never recommend something as extreme as this as it’s quite possible that you could very easily die from it. But I share this video to show what is possible, for information purposes only. When I started this detox and set 40 days or six weeks as the time period in which to engage this process, I had a vague idea that 40 days had some form of mystical relevance based on my Shia Muslim background. It is only now after looking into the subject in more detail that I have found 40 days has relevance to many of the world’s religions and cultures in so many different ways. From pre-enlightenment fasting to post birth nutritional programmes it seems 40 days as being the number of days it takes for transformation to complete isn’t just a superstitious practice that permeates so many of the world’s societies. It seems that there are physiological and psychological basis for many of the stories handed down from generation to generation from society to society. There are many ways of interpreting how many times Moses went up the mountain and how many times he fasted. I’ve not been able to come to any definitive conclusions on it. However, if he went up the mountain on three occasions and after the third came back with the second set of Ten Commandments is it possible that the death and birth of new red blood cells and skin cells contributed to his radiant face (Exodus 34) after 120 days of fasting? I think it is a distinct possibility. I have personally at least noticed my skin and face looking more radiant from cutting out poisons from my diet and nourishing it with nutrient rich food like fruit and vegetables as I get closer to the 40th day. Could there be a link between the traditions that state Muhammad fasted for 40 days before mating with his wife Khadija to conceive his daughter Fatima and the research which shows that sperm count can increase in six weeks (42 days)? I believe so, and I can also attest that I have personally experienced a significant increase in ejaculate within a few weeks of starting this detox. Could there be a link between the brain’s ability to remap itself over a period of forty days or the findings of those who work in Transpersonal Psychology and the Enlightenment/Revelations of Buddha, Moses, Elijah and Jesus after 40 days of fasting? It’s a possibility worth considering I think. Following my detox I happen to be planning on starting a new blog on philosophy, mysticism and the paranormal. Though I don’t claim to have achieved mystical enlightenment as a result of this detox, I do feel more clarity in my mind and the confidence to share my thoughts and experiences on these subjects as I continue to develop my personal philosophy of life. I’ve tried to be as thorough as I can on finding out the significance of forty days throughout history. I may have missed a religion, culture or some other scientific perspective on the subject. If I have, please let me know by leaving a comment with a reference to the piece of information I may have missed for the benefit of me and the readers of this blog. Thanks! The particular connectivity in Sony BRAVIA KLV 32BX320 remains safe and secure perfectly.http://www.wholesalejerseysatus.com drugs for depression and anxiety For something different you will see usb port spot, HDMI not to mention Earphone port together with a cranny we now have the other ports. The actual Universal serial bus harbour with this LC Tv set holds Training videos, new music in addition to snapshots..
wholesale nfl jerseys from china Having secured Marie in solitary confinement, and having thus left the house and all that it contained for a whole night at the free disposal of the Duparcs, the Procurator Revel bethought himself, the morning after the arrest of his prisoner, of the necessity of proceeding with something like official regularity. He accordingly issued his requisition to the Lieutenant Criminel to accompany him to the house of Monsieur Duparc, attended by the medical officers and the clerk, to inquire into the circumstances under which the suspected death by poisoning of Monsieur De Beaulieu had taken place. Marie had been imprisoned on the evening of the seventh of August, and this requisition is dated on the morning of the eighth wholesale nfl jerseys from china. E-trade technology, perfecting shopper interaction and / or sustainability of the corporation, make certain credibility. Support service is direct determined by the appropriate and regularity in business transport from the e-trade strategy. If a supervisor has a tendency to cancelling commercial enterprise transactions suddenly or declining to take care of the company’s schedule carefully, then the support leading is compromised by unreliability (Colyvas, 2008). People are asked to explode with complains on frustrations through the e-trade product untimely product failures and differences. Quite possibly the most probable effects on the way to small business absolutely are a giant reduced potential customers compared to other operators, hence the need of powerful e-business equipment. E-business, accordingly, not just fosters rapidly firm sales, and also sustains existing company targets and targets. Responsiveness could be a aspect of e-business solutions.